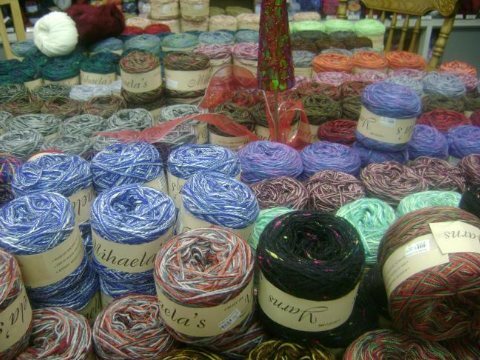 Mihaela's Custom Yarns are made of combinations of cotton, rayon, acrylic and polyamide. Some are also mixed with wool, llama, alpaca or cashmere. We make sure to pay close attention that each ball is hand spun with great care, creating a great quality product for our customers.